Inspiration came from visiting the Milan Furniture Fair, and also being a kitchen designer for 20 years. Often, when designing a bespoke open-plan kitchen for a client, using different types of wood, the client would ask where to source a table to go with the new kitchen. Not easy if you are looking for something different from the usual oak or ash. After visiting the Milan Fair, I reflected on the trends and what I had seen. One day I sat down at my drawing board. This table is the result. The Veizla Table is made from solid wood, assembled with a unique steel bracket. The under-carriage is constructed by assembling three parts (legs and stretcher) in the core points, with a bracket top and bottom. The bracket makes it possible to flat-pack the table for transport and distribution. The table is made from edge-glued panels, which makes it environmentally sustainable and possible to produce in any type of hardwood available to suit all interiors. The table was designed with open-plan living in mind, a predominantly informal lifestyle, and making it available in an array of different woods to fit in with all interior material and colour schemes. 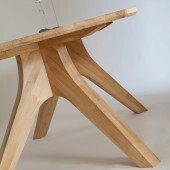 Equally, the table has potential to become a product for corporate use. The design was conceived in June 2012 in Dublin, Ireland. The first Veizla fittings were made in September 2012. 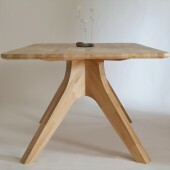 The first Veizla table was made in October 2012. Prototype was made by getting wooden parts cut on CNC machine, bonding and sanding them. The bracket which combines all parts were made by a steel engineering company, milling and drilling stainless steel discs to specification. CNC turned out to be problematic, so now parts are made by a furniture manufacturing company. Width 1000mm x Length 2000mm x Height 730mm. Extension leaves are also available, making table length 2800mm. 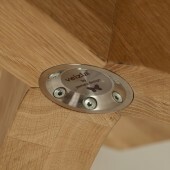 The Veizla table, both rectangular and round versions, and the Veizla fitting/bracket are design registered in 2013. Being Danish, grew up with furniture design. Being a kitchen designer, given me insight to furniture. Being an engineer solved the technical. I wanted to create a practical yet elegant table. 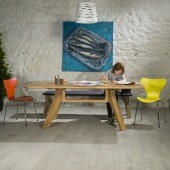 Practical in terms of comfort and use, avoiding corner table legs. Elegant, with beautiful aesthetics. The hardest challenge was the assembly. I could find no appropriate fittings - so I designed my own fitting. Naming the table took research. I found an Old-Norse word for a feast/banquet, which is appropriate and unique. Pemara Design is an Irish based furniture design company with roots deep in the Danish furniture traditions, focussing on our own unique furniture range for both domestic and corporate use. Our first product, the Veizla Table range, was launched in 2013 and is now available through selected furniture retailers in Ireland. We are looking to expand our market to the rest of Europe and beyond. 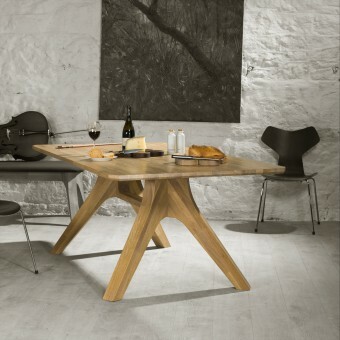 Veizla Table Dining Table by Pemara Design is a Nominee in Furniture, Decorative Items and Homeware Design Category. · Click here to register today inorder to be able to view the profile and other works by pemara design when results are announced. Veizla Table Dining Table by Pemara Design is Winner in Furniture, Decorative Items and Homeware Design Category, 2013 - 2014. · Press Members: Login or Register to request an exclusive interview with pemara design. · Click here to register inorder to view the profile and other works by pemara design. 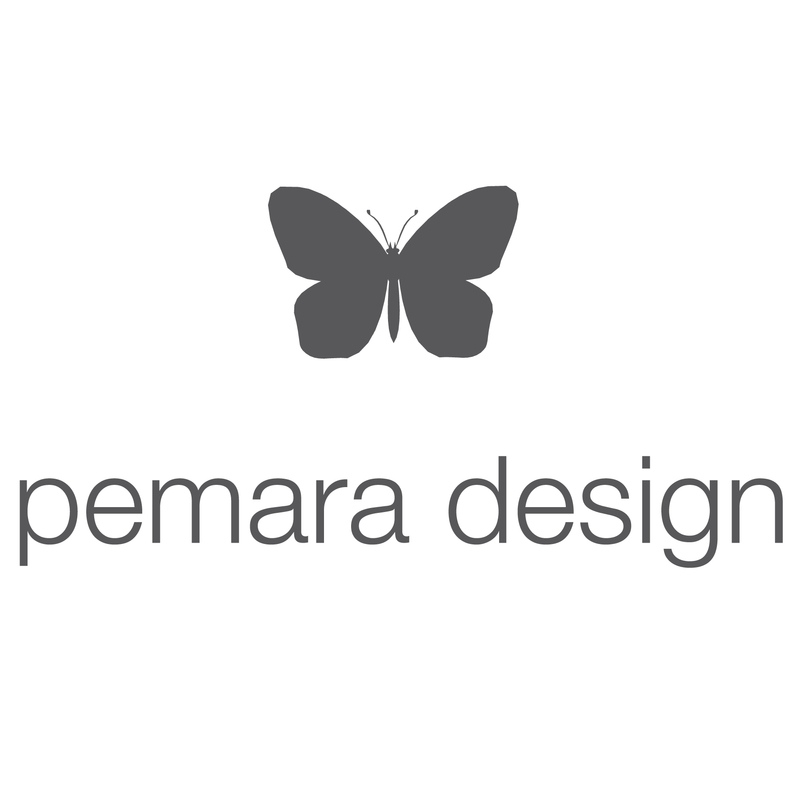 Did you like Pemara Design's Furniture Design? Did you like Veizla Table Dining Table? Help us create a global awareness for good furniture design worldwide. Show your support for Pemara Design, the creator of great furniture design by gifting them a nomination ticket so that we could promote more of their great furniture designs.